This Monster high courier bag comes in black with silver piping, with a black strap which can be worn on the shoulder or across the body. It has a side pocket for those easy to reach items and is zip fastening. 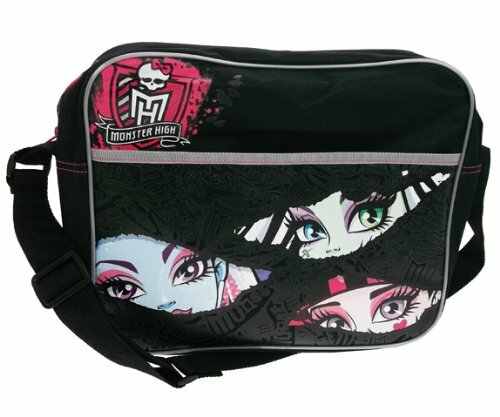 It comes in an easy to clean durable material and features a range of monster high faces on the front.Approx 14"x12"